I love being able to decorate around the house, but cost is always a factor in my house. 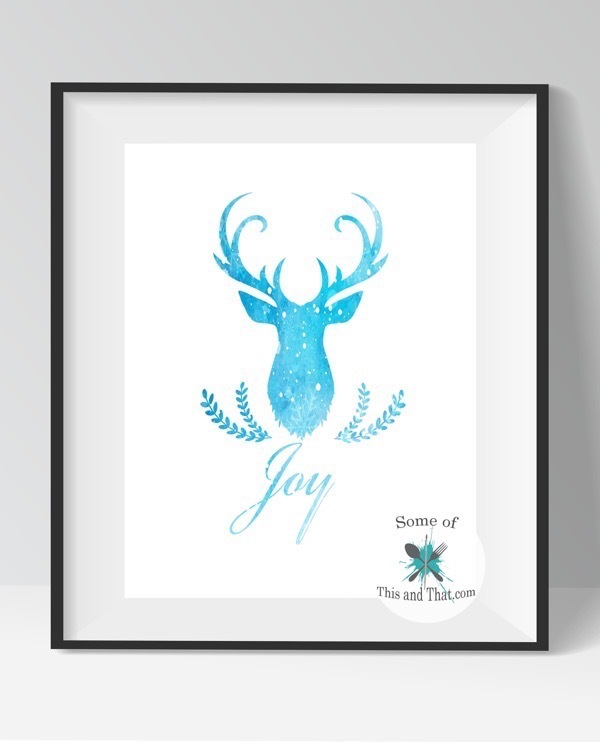 That is why I love free printables, you can print them off at home and place them in frames! 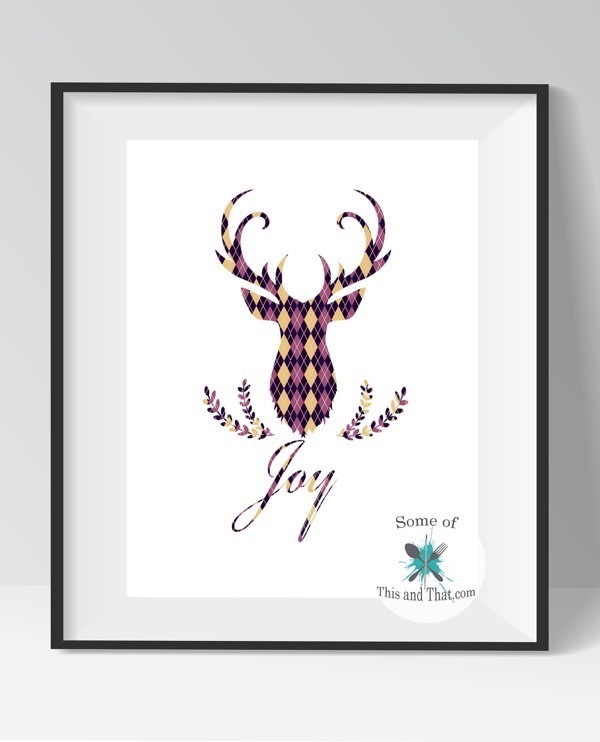 This week I am sharing some Free Deer Head Printables! I made them with multiple designs and colors so that they can match any decor. My favorite would have to be the red plaid background! These Free Deer Head Printables are also easy on the ink, because they are simple, but make an impact! There is just something that I love about argyle, it is always classy. Want something with a little more bling? 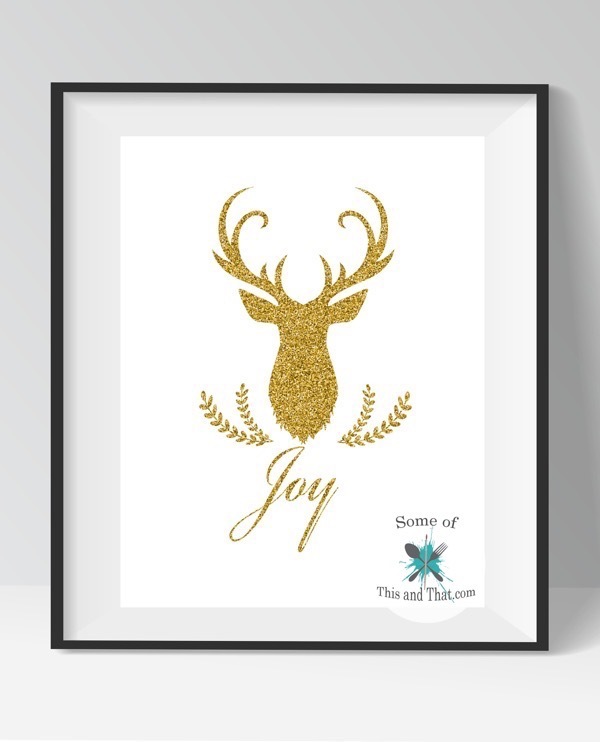 I love the gold glitter Free Deer Head Printable! And I could not resist to do a blue snowflake! We do not get snow in my area very often, so I love to decorate around the house with snowflakes. To grab these free printables check out the short form below! Be sure to check your SPAM folder, because they may end up there! Previous Post: « Homemade Rainbow Taffy Recipe!